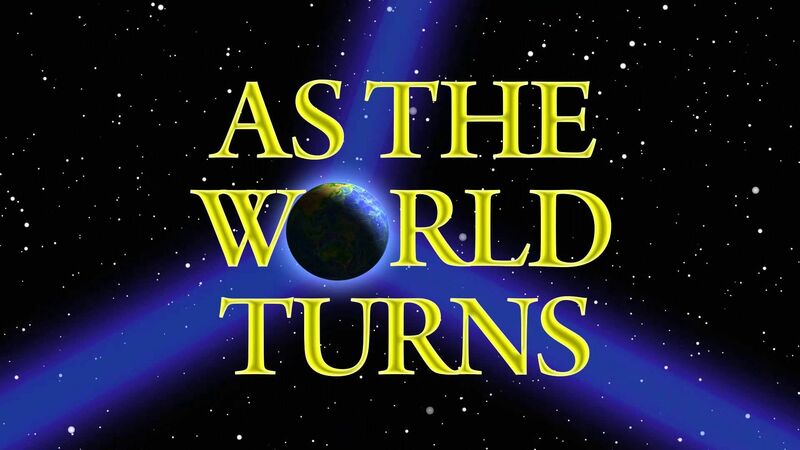 Here's where to watch every episode of As the World Turns season 45. Mouseover or tap an episode to see where to stream it. Click or tap the play icon to stream it on the best available service. Ep. #11274 Jun 6, 2000 After being warned of Molly's manipulative nature by Julia, Jake takes her out to dinner but gets frustrated when all she wants to do is talk about her plans for payback. Ep. #11413 Dec 26, 2000 It's a special Christmas in Oakdale as Rose and Lily surprise Lucinda by bringing Lucy and Sierra to see her, Chris suprises his parents by bringing Penny, and Tom, Margo and Craig enlist Lyla to help them deal with Katie and Simon. Ep. #11421 Jan 9, 2001 Barbara meets Craig for dinner and admits that she and Hal are separating. When the two share a passionate kiss, they don't realise that they're being watched by Carly. Ep. #11422 Jan 10, 2001 Molly is getting ready to move out of Jake's, convinced that he will never be over Vicky. Jake shows up and manages to convince her that he knows Vicky is the past, and she and Abigail the future. Ep. #11423 Jan 11, 2001 Julia is thrilled to feel the baby moving and rushes to tell Jack, but finds he and Carly together and leaves without alerting them to her presence. Ep. #11424 Jan 12, 2001 Jack breaks off the kiss with Carly, telling her they have to concentrate on the mission. Unfortunately, a jealous Julia has already left a message for Craig that Carly is wearing a wire. Ep. #11425 Jan 15, 2001 After telling Bryant she just can't wait anymore, Jennifer grabs him for a passionate kiss, then she shocks him by pushing him away and telling him their parents are having an affair. Ep. #11454 Feb 19, 2001 After Cloche's wife, Colleen, finally convinces her husband to step aside, Jake manages to get to the babies he heard crying and is introduced to his twin daughters for the first time. Ep. #11455 Feb 20, 2001 Henry stops by to see Katie, begging for her to help him get enough money to get out of town or he'll tell Simon the truth about her 'pregnancy'.